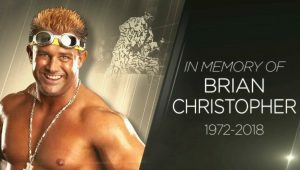 WWE Attitude Era Superstar Brian Christopher Lawler aka Grandmaster Sexay Passes Away! RIP! On behalf of IP, our thoughts and prayers are with the family, friends and fans of Brian Christopher Lawler.